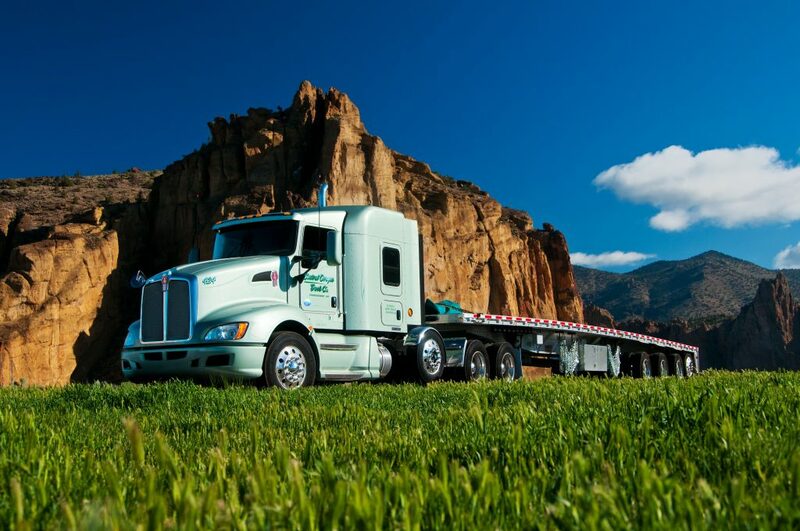 COTC is one of the nation’s most reliable and safest flatbed trucking companies. We offer asset-based services and additional capacity through our logistics personnel. Our commitment to reliability is unmistakable. The fleet is exclusively Kenworth T-660s and T-680s averaging 2.2 years old and Reitnouer 4-axle 53′ and 2-axle 48′ air-ride flatbeds. Premier equipment is only the start. COTC drivers are the best in the industry. We offer comprehensive hands-on training at our Terminal in Redmond, Oregon and on-the-road training administered by Infiniti to guarantee our team of professional drivers secure, tarp, and maintain safe speeds for on-time delivery of undamaged cargo. In addition, third-party carriers must exemplify our commitment to safety and reliability as indicated by their BASIC scores. COTC is an operating company within Daseke, the largest owner and consolidator of flatbed and specialized transportation in North America. Daseke’s combined fleet of more than 3,800 trucks and 8,200 flatbed and specialized trailers serves 49 U.S. States, Canada and Mexico.